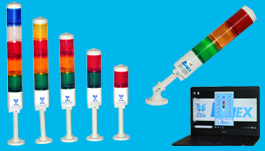 "Manufacturer of Industrial Electronic Products, LED Tower Lamps, LED Indicating Lamps & Voice Hooters"
Unidirectiona Lamps from single tower to six towers and more. Built-in flasher & audio output. Voltage avilable from 10 Volts to 230Volt AC/DC. Its ultra bright SMD Led type. It can be mounted in 4 ways. It’s a multi functional tower lamp. Power consumption is 90% less than a filament type lamp the body is made of ABS Plastic Polycarbonate unbreakable lenses. 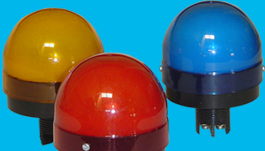 LED Indicators (Solid State) manufactured in line with ISO 9001:2000 standards ensures consistent quality and is ideal for control panels (both MCC's and Instrumentation) and machines. 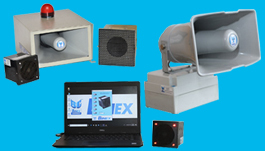 Binex introduces first time in India the most Innovative Electronic Visual Voice Hooter with Built in Accept Facility. 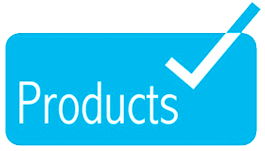 Low Power Consumption Can be used for TPM, POKE YOKE, KAIZEN & DCS. Head Office: 403, The Melange, Opp. Sandvik Asia Main Gate, Old Bombay Pune Highway, Dapodi - 411012 Maharashtra, India. Pune - 411018. Maharashtra, India.